Bought this deal – got it in 12 days – awesome! The Hammer of God mechanical box mod hits. This is a quad 18650 that is set up in parallel. This means you can easily have a 10,000mAh mechanical box mod. This isn’t as big as it looks. Its thicker but not any taller or wider (left to right) then any other mechanical box mod. The batteries are placed two in the front and two in the back. 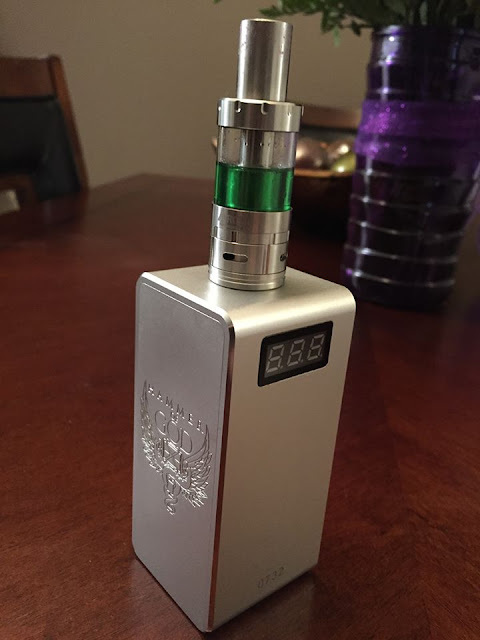 What is surprising me is Fasttech isn’t calling this a replica. Fasttech is VERY good at labeling what is and isn’t. They will put “style” in the title to let you know its a replica. It’s been live for a few days and still no change. I put “style” in my title because I’m playing safe and calling this a replica. I do know the legit versions go for $170+ . What makes a aluminum project box worth $170? umm.. NOTHING! If your looking for a mechanical with some serious stamina – look no further. I’m pretty satisfied with this price point for what the mod does. MFS famous Unflavored Nicotine E-Liquid is made with the highest grade nicotine available. Buy with confidence knowing that you are getting the very best nicotine available and that it is always distilled from actual tobacco leaves not synthetically produced. For more information read below and click the link to see our latest batch testing results. Also check out their flavorings area. They have a ton of different flavorings from the most popular manufacturers. The coupon code works on everything on the site – so flavorings are in. A growing trend and one I will be pushing very hard. Drive the prices of premium juice down! A brand new line has been launched from Vaping Watch.. These bottles will be just $4.00 per 30ml for 24 hours. After that it will stay at a very low price of just $6.00 a bottle. I was sent a few bottles to try but they haven’t arrived yet. I’d like to give an opinion but by the time I do – the sale will be over. What I can say is Vaping Watch has a solid record on his juice line(s). Here is a great deal on the Ni200 OCC heads by Kanger. These should only be used in mod that uses a temperature control chip (i.e. DNA 40). These have been color coated in blue so you don’t confuse them with standard heads Kanger heads. Great way to try temperature control at a great price. YETI ARMY: BUY ONE GET TWO FREE !! EPIC JUICE SALE! |A CRAZY DEAL! GET IT NOW! 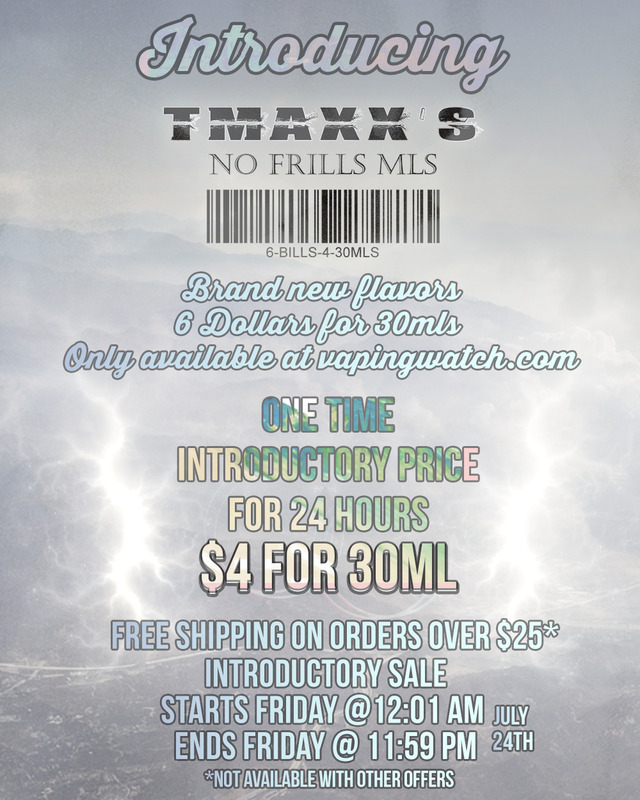 By vapor-Friday, July 24, 2015-Uncategorized-Comments Off on YETI ARMY: BUY ONE GET TWO FREE !! EPIC JUICE SALE! 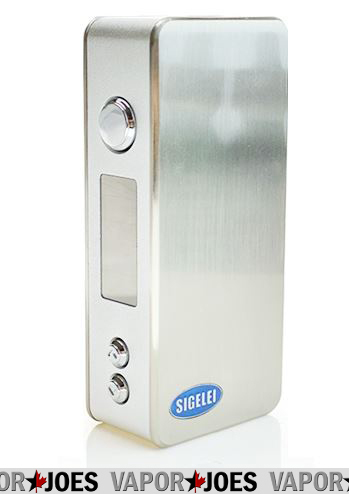 The next generation istick box mod has arrived. Now packing 100 watts of power! It’s not a question of if you will buy it, but how many! A stunning price for 100 watts! This is one hell of a mod. 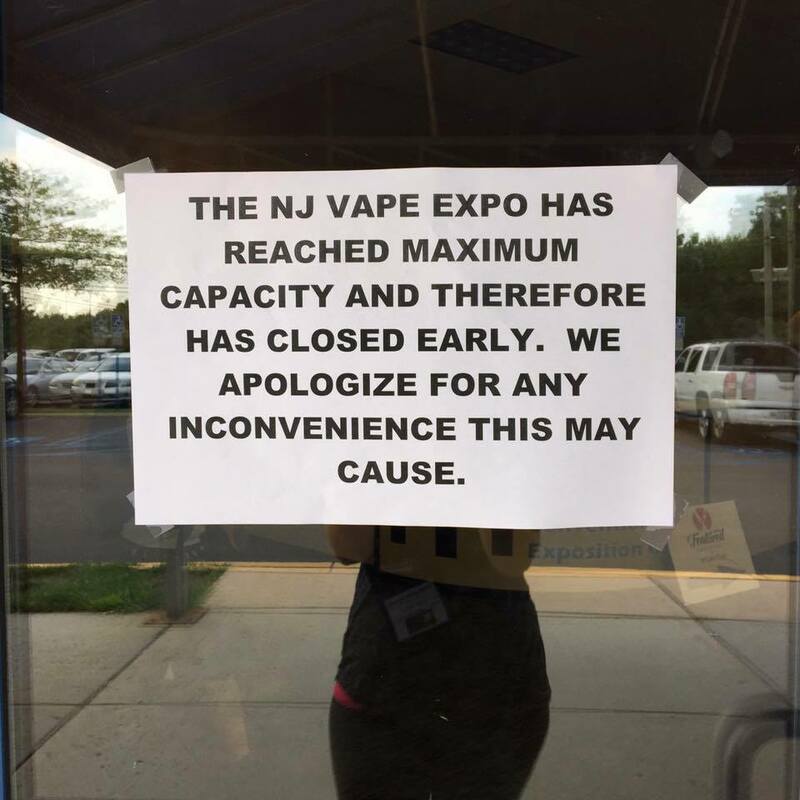 I picked one up at the NJ vape expo. Really nice and compact! The Project Sub-Ohm™ Project Square™ was founded in the fundamental belief of providing an extremely affordable, stylish, and functional device. The Project Square™ achieves this, by introducing a svelte and ergonomically designed chassis, an authentic custom flashed YiHi SX330 chipset, and dual 18650 battery capability all at an incredible price point. Stylistically, the Project Square™ follows in line with the design accents of recent Project Sub-Ohm™ Box Mods, with a deep brushed black look with red aluminum accents for the buttons and bezel trim. A softly rounded edge improves hand ergonomics, fit, and feel, providing a fatigue reducing shape for everyday use. Featuring the Project Sub-Ohm™ logo on one side and the Project Suare™ S opposite, all of the design elements come together to create a beautiful and striking style. Machined out of high grade Aluminum, each Project Square™ features a 24K Gold Plated Brass floating 510 with Stainless Steel threadpoints. The diameter around the 510 measures in at 22mm, synergizing with many of today’s atomizers. Each battery tube is compartmentalized, with the interior milled out of non conductive acrylic with a 24K Gold Plated Brass positive contact. The negative threaded caps are machined out of Stainless Steel, and feature deep coin slotted grooves with 6 vent holes. 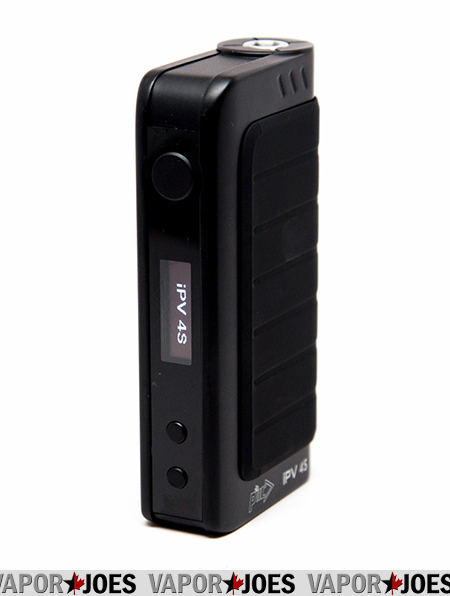 The dual 18650 platform allows for long battery life and easy battery swapping. Utilizing a custom flashed YiHi SX330 V2 50W chipset, Project Square™ features 7 to 50W of power, with a minimum atomizer resistance of 0.2 ohms. 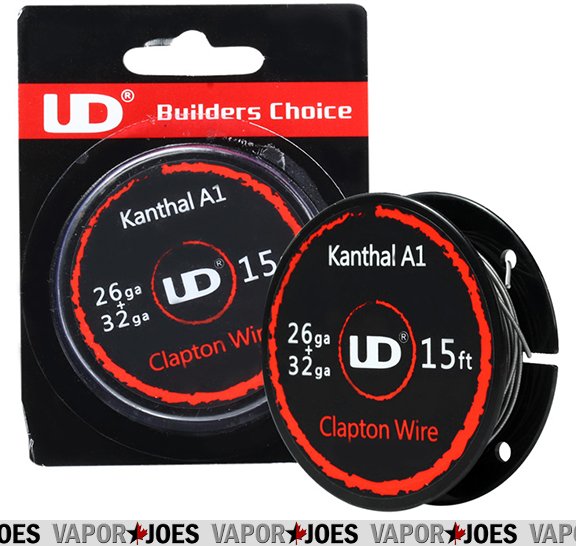 This allows for compatibility with the majority of the most popular Sub-Ohm Tanks in today’s market. 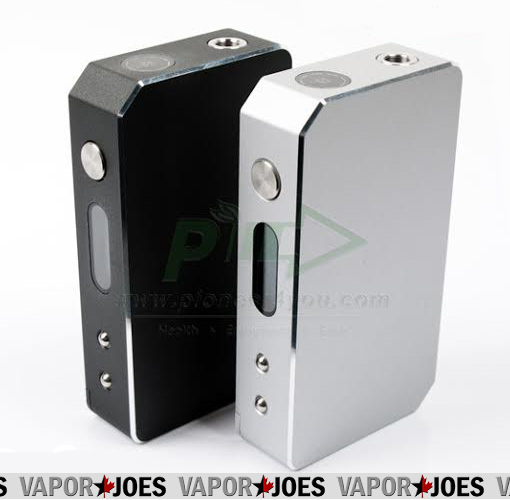 Combining this chipset with a stylish, ergonomic design coupled with dual 18650 capability, the Project Sub-Ohm™ Project Square™ is one of the premier box mods in its price segment. 100% Solely Designed, Engineered, and Developed in the USA by Project Sub-Ohm™! 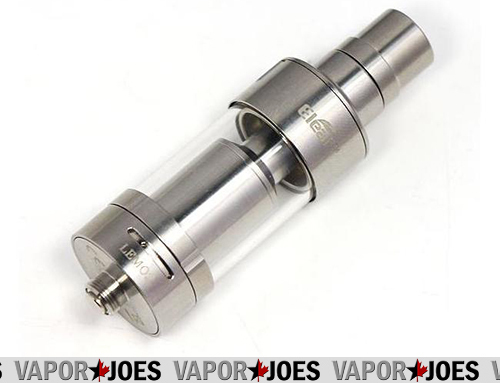 An upgrade to the original and very popular Lemo version one.The Eleaf Lemo 2 RBA is an amazing performing Tank. For an RBA, this thing comes with an awesome filling features, low resistance for cloud producers, and a large tank to fit plenty of juice. Coming in at an amazing price and ships from the USA! There were a TON of people that commented on Vape Expo NJ – However how many of them were actually there to experience the carnage? Listen to the recap from 3 Mod Envy members that were actually at the meet – Nitro blows a brain gasket. This was recorded Saturday night from the Event Hotel. Here is great deal on a black authentic Herakles with free shipping from the USA! I love these tanks and black works nicely with my IPV4.